The winning student team addressed digital inequality by collaborating with Tanzanians to improve access to Information Communication Technology used in education. Weather spotters are the “eyes and ears” of the NWS and provide valuable weather reports, which cannot be replaced. 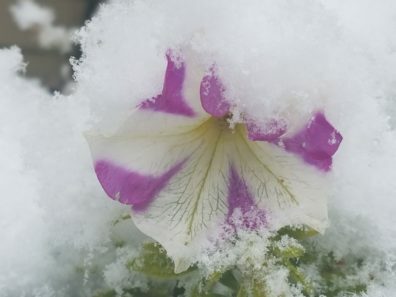 Is our early snow an indicator of another rough winter? It’s too soon to know if we’ll have a repeat season, but the recent blitzing of winter-like storms is consistent with the presence of a La Nina that’s developing in the tropical Pacific Ocean. Working with the WSU Center for Civic Engagement, students in the Department of Apparel, Merchandising, Design and Textiles created the bags this fall as a dual class project. 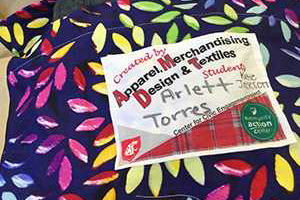 Teams of students, mostly freshmen and sophomores, learned to track down quality used textiles and assemble a real product, at the same time gaining lessons in community service. Monica Chang, 15, of Camas went up against a post-doc, a graduate student, undergraduates and fellow high school students as she had three minutes to discuss her lab work in the Oregon Bioscience Showcase “Research Fast Pitch” competition. As winter arrives, the Facilities Operations Grounds Department is preparing it snow removal plans and priorities and wants to hear from people who have specific snow-removal needs because of disabilities. Using advanced genomic techniques, biologist Andrew Storfer will look for key mutations that appear to be helping some of the animals evolve in response to devil facial tumor disease, and develop gene editing techniques to help identify potential targets for drug-related therapies. If the lower premium of a CDHP is attractive to you, but you are concerned about the higher deductible, attending one of the two remaining informational sessions by Human Resource Services will help you understand how a Health Savings Account, which is partially funded by WSU, may help you address that concern. Getting ready for school on a snowy day can be quite a challenge for young children. In addition to eating breakfast, getting dressed and packing up workbooks, they have to remember extra things like boots, gloves, a hat, and a coat. Undergraduate researcher Jenna (Eva) Caneva helped turn this real-life scenario into a simple cognition exercise to test the ability of 6-to-10-year-olds to follow instructions. Currently, there is no teaching endorsement program for computer science at any of Washington’s universities, which advocates say makes program development in the subject increasingly important in today’s advancing technological society. The event will start at 11:50 a.m. at the top of the Terrell Mall, outside of the CUB. A flag procession and bagpipers will lead participants down the mall to the Veterans Memorial where a short program will be conducted. The fair for the Pullman campus is taking place 9 a.m. to 1:30 p.m on November 8 in the CUB Junior Ballroom. To find the schedule of other fairs occurring around the state, visit the HCA webpage. In the interest of building security and energy conservation, Facilities Services will not be unlocking any Pullman campus buildings on Friday, November 10. A record 290 first-year students enrolled in WSU’s Honors College, setting an enrollment record for the fourth straight year. The class includes 14 National Merit Scholars (WSU had 16 overall), an all-time high for WSU and firmly in the top 25 in the country, and comparable with land-grant peers such as Ohio State and Wisconsin. Yale University sociology Professor Elijah Anderson will discuss the resilience of the “cosmopolitan canopy” — a metaphor for civil society — and how the canopy can help teach, reinforce and spread social tolerance and mutual understanding. Hope Rising from the Dept. of Landscape Architecture presents a CEREO seminar entitled “Resilient by Design: Water Urbanism for Climate and Environmental Adaptation.” Rising will present on Nov. 8 at 3:10 p.m. in PACCAR 202. The reception-style gathering includes guest speaker Lindsey Elhart, a 2014 graduate and contract specialist with Boeing Airplane Sales, along with hors d’oeuvres, a hosted bar, live auction and a raise-the-paddle program. The Modernization Initiative, led by WSU Human Resources, Information Technologies, and Financial Services departments, has narrowed the choices to two vendors: Oracle and Workday. Join the Physics and Astronomy Club on Saturday, Nov. 4, for this popular, pre-game, gravity bound extravaganza.